For the past 16 years, Antiques Roadshow has been bringing antiques, collectibles, and hidden treasures from around the country to public television audiences, and WSBE Rhode Island PBS has been proud to bring the show into your home each week (Sundays at 8 PM). Now, Antiques Roadshow turns the camera lens on itself and goes back in time. Starting next Sunday, July 1st, you can enjoy six "new" vintage episodes. Antiques Roadshow producers dug into the archives to revisit past appraisals. The programs have been repackaged with all new graphics and updated appraisal values. That last point bears repeating: updated appraisals. How would the treasures discovered yesterday fare in today's market? First up is Phoenix, Arizona. Shot in 1997, these appraisals originally broadcast as part of Antiques Roadshow’s second season. Here is a clip from the episode. Sundays at 3 a.m., 3 p.m., 8 p.m.
Rising-star composers and professional performers from Boston and New York City present innovative collaborations, and unveil selections from new musical theatre works across the country in Musicals in the Making. Originally presented as part of the Rhode Island College (RIC) "Wednesday Chamber Music Series," live concert was performed and taped in December 2011. The show airs on WSBE Rhode Island PBS as part of the ongoing series Rhode Island Stories on Saturday, July 7 at 7 p.m. with rebroadcast on Sunday at 11 p.m.
Judith Lynn Stillman – world-renowned pianist, professor of music and the artist-in-residence at RIC – serves as the musical director. Curt Columbus, artistic director of Trinity Repertory Company, moderates commentary and discussion with composers and lyricists. 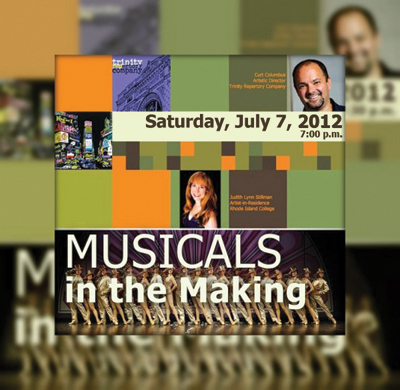 The production represents a climax of several aspects of the creative process, and the audience at the live performances decided which of these musicals may be on their way to Broadway, Stillman said. This unique performance event was funded by RIC’s Performing and Fine Arts Commission. The Rhode Island Public Telecommunications Authority voted at its meeting yesterday afternoon to begin the process of transitioning WSBE Rhode Island PBS – the state's only public television station - from a state licensee to a community licensee. 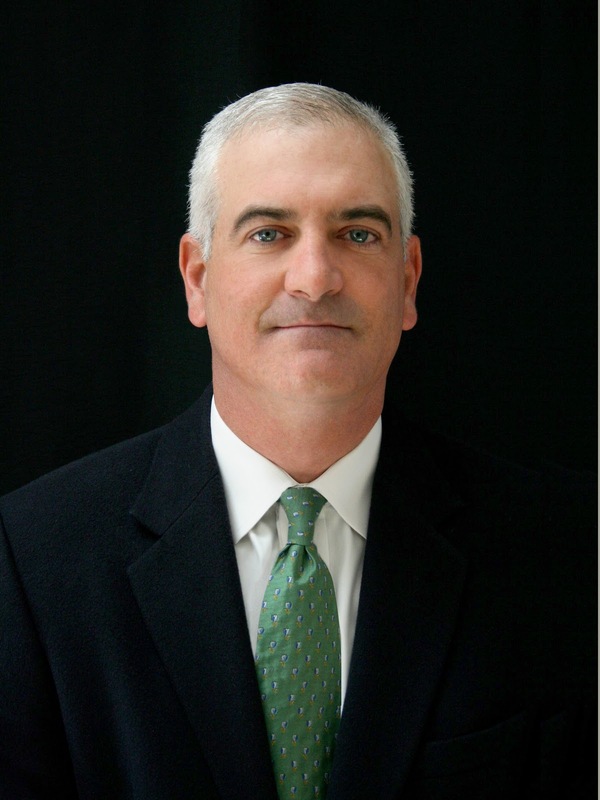 The announcement was made by WSBE President and Chief Executive Officer David W. Piccerelli. The Authority oversees WSBE and is the broadcast license holder. The vote comes on the heels of passage of the state budget that extends the station's funding until the end of the fiscal year on June 30, 2013. "The Authority's action clears the way to start the process with the Federal Communications Commission to transfer the license to the Rhode Island PBS Foundation," Piccerelli said. "We are pleased that the state budget restores much of the funding WSBE needs to give us the time necessary to execute a comprehensive and viable plan for alternative funding and operating strategies, without crippling the station during the process." Piccerelli estimates the FCC application and review process to transfer the license can take up to 90 days. Authority Chairperson Michael B. Isaacs praised the Board's action. "This is an important first step toward WSBE's independence," he said. "The Board's leadership and support should bolster the public's confidence that WSBE will continue to deliver local programming, education services, and the hallmark PBS series to the families of Rhode Island and our greater Southeastern New England audience." Piccerelli concurred. "Becoming a community licensee opens new opportunities to build partnerships that will expand programming and education services – and secure the future of local public television." Of the 173 public television licensees nationwide, more than half – 89 of them – are community licensees, operated by non-profit corporations. Rhode Island is currently one of only 20 state licensees. "The community license model is the most popular one because it works," Piccerelli observed. "It provides both growth and sustainability. Pursuing this model puts WSBE – and Rhode Island – on a proven path to success." 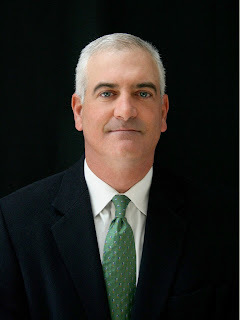 Piccerelli added that during the transition period, he and the Authority will continue to work closely with the governor's office and the General Assembly – both of whom also have an interest in the successful continuation of public broadcasting in Rhode Island. WSBE Rhode Island PBS transmits standard-definition (SD) and high-definition (HD) programming over the air on digital 36.1; Rhode Island cable channels are Cox 08 / 708HD, Verizon FiOS 08 / 508HD, and Full Channel 08; in Massachusetts, Comcast 819HD, Verizon FiOS 18 / 518HD; on satellite, DirecTV 36, and Dish Network 7776. Committed to lifelong learning for 45 years, WSBE uses the power of commercial-free media to educate, engage, enrich, inspire, and entertain viewers of all ages in Rhode Island, southeastern Massachusetts, and eastern Connecticut. For more information about the programs and education services at WSBE, visit www.ripbs.org. Wednesday, June 20 at 8 P.M. on WSBE Rhode Island PBS. 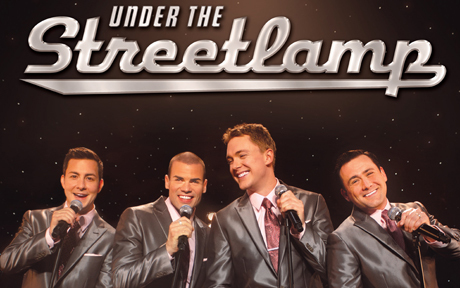 Under the Streetlamp, America’s hottest new vocal group, delivers an electrifying evening of classic hits from the American Radio Songbook. These four magnetic vocalists bring their unique blend of tight harmonies and slick dance moves to your favorite Doo-Wop, Motown, and old time Rock ‘n’ Roll hits from The Drifters, The Beach Boys, The Beatles, The Four Seasons, and more. The quartet is composed of recent leading cast members of the smash hit Jersey Boys: Michael Cunio, Michael Ingersoll, Christopher Kale Jones, and Shonn Wiley. Exuding the irresistible rapport of a modern day Rat Pack, Under the Streetlamp proves why retro never sounded so now! 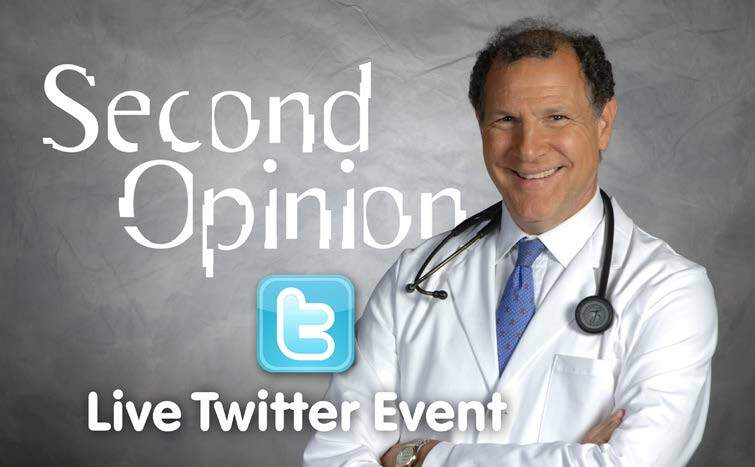 Go behind the scenes of public television’s renowned health series, Second Opinion for a live Twitter event on Thursday (today! ), Friday and Saturday, June 14, 15, and 16, 2012. 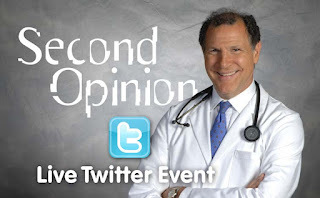 During the taping of the national public television health series, Second Opinion with Dr. Peter Salgo, you can participate in the show and go behind the scenes as Dr. Salgo leads a panel of experts through discussions of real-life medical cases. You’ll meet a former police officer who is living with the challenges of ALS in the Thursday episode. Then, on Friday, you’ll hear about a physician who experienced confusing symptoms — and find out as her surprising diagnosis is revealed. Finally, on Saturday, join us to learn the latest about innovative cancer treatments. Ever wonder where all of the good movies have gone? According to Seattle-based director-writer-producer Rick Stevenson, they haven’t gone anywhere. You just need to know where to find them. That's where Official Best of Fest comes in. Using an exclusive list of curators, Official Best of Fest finds the best independent films from around the world. Films about love, films that will make you laugh, inspire you, and more. It’s the ultimate international great film find fed by the world’s best film festival programmers. The most well-written, subversive, innovative independent films only appear at a select few of the world’s film festivals, likely to never enjoy wide distribution. How is the public ever supposed to wade through it all to find the diamonds in the rough? Not everyone can just hop on a plane to catch Sundance, Cannes, or Toronto. Official Best of Fest’s team of industry professionals is up to the task of doing the dirty work for everyone. The series airs on WSBE Rhode Island PBS on Sundays at 9:30 p.m. beginning June 17, with re-broadcast on Tuesdays at 2:30 a.m. beginning June 19. Hosts Rick Stevenson and Dr. Brandon Whitehead (aka The Silent Critic), take a greenscreen trip to Ireland for a screening of multi-award winning short film TEETH, a short “last laugh” comedy of two old friends on a fishing trip, their teeth, and a series of events that leaves them lost for words. The second multi-award winning film is CELAMY, a story about a little girl and what happens when she outgrows her imaginary friend. 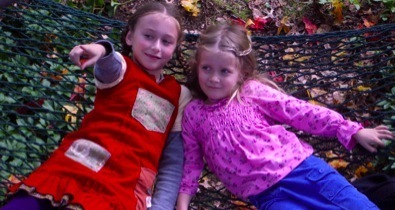 For years the two girls are inseparable. But once Nelly becomes a teenager, it becomes obvious to Celamy that she’s in the way. Now she must choose: should she stay like she wants to or leave so that Nelly can grow up? 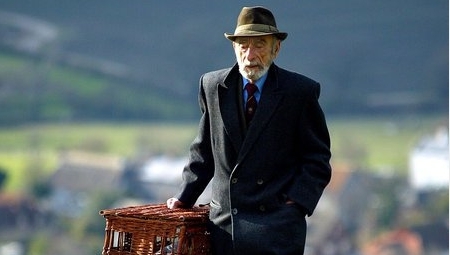 Hosts Rick Stevenson and Dr. Brandon Whitehead (aka The Silent Critic), take a second greenscreen trip to Ireland for the award-winning film DUTCH BIRD, a comedy about a lonely widower whose love of life is reignited by something ‘a wee bit illegal’. Irish Pigeon Racer, Seamus Kerrigan, gets embroiled in an international drug-trafficking plot to smuggle drugs over to Ireland from Holland using carrier pigeons. The second comedy is OUR WONDERFUL NATURE, a crowd-pleaser from Germany about the little-known love lives of some of God’s tiniest creatures - an epic martial-arts battle between two shrews for the heart of a female shrew. Hosts Rick Stevenson and Dr. Brandon Whitehead (aka The Silent Critic) go to Belgium to introduce the Academy Award nominated TANGHI ARGENTINI, a story about an office worker who convinces his bah-humbug friend to teach him to Tango in hopes of wooing a girl he met on the Internet. They then bring us a short from Australia called ONE LONELY LOST UMBRELLA SEEKS COMPANION, a story about a Josh, brandishing a pink umbrella, who embarks on a mission of love in the library, equipped with awkward advances, timid glances, and passionate hope. Hosts Rick Stevenson and Dr. Brandon Whitehead (aka the silent critic), introduce three award-winning films about love—one from the States, one from Australia, and one from England. NO PARKING - Love at first sight is just the ticket after a young man encounters an attractive meter maid who he hopes will give him more than citations. LOVE ON TRACK - The promise of true love goes temporarily off the rails when a man and woman have a misunderstanding on the Sydney monorail. Hardly a word is spoken, yet passions ignite and feelings fray. The denouement takes place on a station platform, when a pair of buskers help get the romance back on track. MR. THORNTON'S CHANGE OF HEART - Thornton is an old misery with a face like a bulldog chewing a wasp. 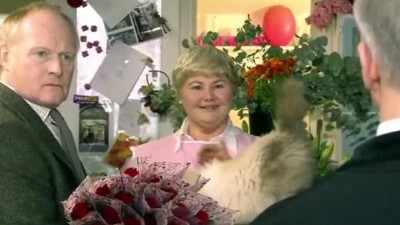 Only Mary, his supplier at the flower market, has any time for him. Of course Thornton and Mary are made for each other, but it takes Cupid to bring them together. FULL DISCLOSURE, about a very unusual and honest first date. Everett decides to reveal every terrible habit, attitude and hang up on the first date. Shockingly, women don’t respond as he’d hoped... until he meets Brinn. LUCKY ESCAPE, in which a high-powered career woman decides to end things with her boyfriend in the most unkind of ways, with mixed consequences. THE DELIVERY - An isolated writer hermit and a sweetly shy grocery delivery girl find each other, but can she be the one to bring him out; will he let her in? Some notes, a mouse, and a gift greater than chocolate work their magic. ACADEMANIA - After trudging through day after day of his dull, lonely life, a stodgy old professor receives an unexpected gift that takes his life in a different direction. PICKET FENCED-IN - A young woman dreads living an ordinary life in the suburbs. Finding herself living this "nightmare" causes her to take a fresh look at what is really important. Rick Stevenson and Dr. Brandon Whitehead (aka The Silent Critic), present the award-winning short films: THE MANTIS PARABLE - Created in its entirety by first-time filmmaker Josh Staub, The Mantis Parable is the charming tale of a humble caterpillar trapped in a bug collector's jar and in need of a helping hand. SMILE - Smile is the tale of a lonely but caring happy face toy with a friend, a happy face balloon. But the menacing deeds of an evil Pirate lead Smile on a daring rescue mission to save the balloon from certain peril. FETCH - Colin takes his dog Cumberland to the park for a game of fetch but Cumberland has other ideas. What happens when man's best friend refuses to cooperate? SNOWTIME - The sequel to the multi-award winning short animation, Fetch. We re-join Colin as he takes Cumberland for a walk in a snowstorm. Hosts Rick Stevenson and Dr. Brandon Whitehead (aka The Silent Critic), present the award-winning short films DANCE LEXIE DANCE, in which a young protestant girl in Derry wants to be a Riverdancer but her grief-stricken father has to be convinced, and LOOKING GOOD, in which Zali gets to spend a day alone with her dad and in her mind plans a fun outing with him... but things don't go as planned. Hosts Rick Stevenson and Dr. Brandon Whitehead (aka The Silent Critic), present the award-winning short films LETTING GO, in which a nine-year old decides that he's ready to put his 'blanky' away... but it's his father who has a hard time letting go, and FREESIA OF EDEN, in which the unique friendship between Ned and his 7-year-old grandson, Conan, stems from their devout love of gardening... and when Ned realizes that he is going to die he knows he must explain his death to Conan in the only way he will understand. Hosts Rick Stevenson and Dr. Brandon Whitehead (aka The Silent Critic), present the award-winning short film ELEGY FOR THE ELSWICK ENVOY, in which artist Nancy Willis is on a quest to find just the right home for her much loved but exhausted car: the remarkable Elswick Envoy. A witty and moving double portrait of a unique vehicle and its owner. Television audiences across the U.S. will venture to the mysterious world of turn-of-the-century Coney Island when WSBE Rhode Island PBS airs Love Never Dies, Andrew Lloyd Webber's sequel to The Phantom of the Opera* on Saturday, June 9 at 2 p.m.
Love Never Dies picks up 10 years after the Phantom's disappearance in a raging inferno. Lured to New York by a chance to perform at a mysterious new Coney Island venue, Christine encounters characters from her past, one of whom carries a dark secret. She reunites with the Phantom for more music of the night (watch the tantalizing videos below). The dark, romantic sequel is directed by Simon Phillips (Priscilla Queen of the Desert), and was filmed live in Melbourne last September. The Australian production of Love Never Dies differs from the now-closed London world-premiere staging. A completely new Australian creative team, including scenic-costume designer Gabriela Tylesova, gave the production a darker, more brooding approach. It also incorporates revisions to the script and score first implemented in London last fall. Ben Lewis, who appeared in the original Australian casts of Priscilla Queen of the Desert and Spamalot, stars as the Phantom, opposite Anna O'Byrne as soprano Christine Daaé. O'Byrne previously played the role in an Australian tour of The Phantom of the Opera. Love Never Dies has a score by Lloyd Webber and lyrics by Tony nominee Glenn Slater (Sister Act, The Little Mermaid). The book is by Lloyd Webber, Ben Elton and Slater. Phantom lyricist Charles Hart is also credited with additional lyrics for the latest incarnation of the sequel. *Great Performances Phantom of the Opera will air on WSBE Rhode Island PBS on Friday, June 8 at 7:30 p.m. (please note early start time). The Phantom of the Opera at the Royal Albert Hall, a fully-staged, lavish 25th anniversary mounting of Andrew Lloyd Webber’s long-running Broadway and West End extravaganza, comes to Great Performances on WSBE Rhode Island PBS on Friday, June 8 at 7:30 p.m. (please note early start time). To mark the musical’s Silver Anniversary, Andrew Lloyd Webber and Cameron Mackintosh presented “The Phantom of the Opera” in the sumptuous Victorian splendor of London’s Royal Albert Hall. International audiences were invited to join the celebration when the evening was transmitted live to cinemas worldwide. This dazzling restaging of the original production recreates the jaw-dropping scenery and breathtaking special effects of the original, set to Lloyd Webber’s haunting score. The Phantom of the Opera at the Royal Albert Hall stars Ramin Karimloo as The Phantom and Sierra Boggess as Christine. 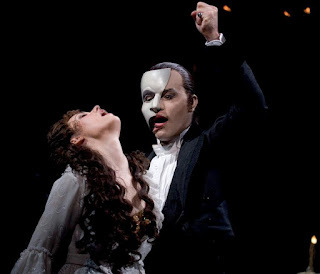 Both had triumphed in the London premiere of “Love Never Dies,”* Lloyd Webber’s sequel to “The Phantom of the Opera,” both earning prestigious Olivier Award nominations for their roles. Karimloo and Boggess are joined by Barry James as Monsieur Firmin, Gareth Snook as Monsieur André, Liz Robertson as Madame Giry and Wynne Evans as Piangi, together with a cast and orchestra of more than 200, including special guest appearances by the original Phantom and Christine, Michael Crawford and Sarah Brightman. Lloyd Webber’s “The Phantom of the Opera” first opened in 1986 at Her Majesty’s Theatre in London and is based on the French novel Le Fantôme de l’Opéra by Gaston Leroux. Set against the glamor and spectacle of the Paris Opera House, Leroux told of a horribly disfigured Phantom, once a promising musician, who now terrorizes the opera company. Shamed by his physical appearance and feared by all, the Phantom is drawn to the beautiful ingénue Christine Daaé and begins coaching her secretly, as a tragic romance unfolds between the unlikely pair. 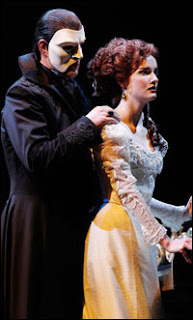 Worldwide, “The Phantom of the Opera” has grossed more than $5.6 billion. It has been seen in 145 cities in 27 countries and played to more than 130 million people. The show has won more than 50 major theatre awards, including seven Tony® and three Olivier® Awards in the West End. It is currently showing in London, New York, Budapest, Las Vegas, and Kyoto. In 2006, it became Broadway’s longest running show ever. The Phantom of the Opera at the Royal Albert Hall was directed by Laurence Connor, with musical staging and choreography by Gillian Lynne, based on the original London production directed by Hal Prince with musical staging and choreography by Gillian Lynne. The Royal Albert Hall was transformed with a spectacular and unique design by Matt Kinley, inspired by Maria Björnson’s original design. Lighting was by Patrick Woodroffe and Andrew Bridge, and sound by Mick Potter. 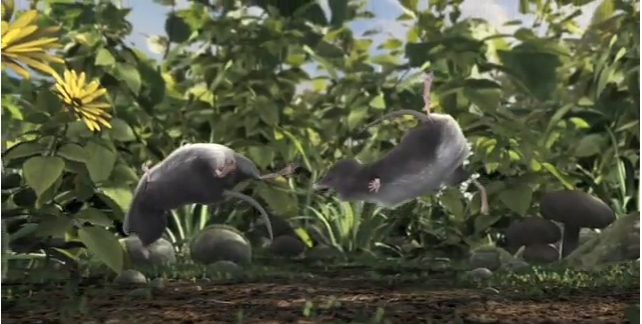 The production was produced by Cameron Mackintosh. The Phantom of the Opera at the Royal Albert Hall was directed for television by Nick Morris. *Love Never Dies will air on Saturday, June 9 at 2 p.m. on WSBE Rhode Island PBS. It’s fun to be in on a secret, isn’t it? More than the fun factor, sometimes the information learned can change your life. 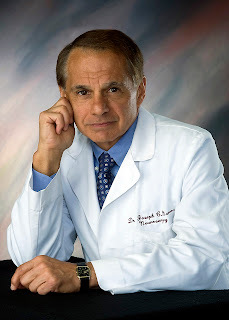 Dr. Joseph Maroon, neurosurgeon and best-selling author, explains how to unlock the power of our genes to enable a long healthy life in Secrets of Longevity with Dr. Joe Maroon. Dr. Maroon is an internationally-recognized professor of neurosurgery, author of The Longevity Factor, team neurosurgeon to the Pittsburgh Steelers, seven time Ironman triathlete, member of the National Fitness Hall of Fame, and senior vice president of the American Academy of Anti-Aging Medicine. With cutting-edge science and warm personal anecdotes Dr. Maroon provides a road map to the long healthy life that he says “is a gift within your reach.” That's a secret worth sharing! WSBE Rhode Island PBS airs Secrets of Longevity with Dr. Joe Maroon on Wednesday, June 6, at 10 P.M. In this new PBS special, Chris Isaak performs in a personal tribute to the glory days of the legendary producer Sam Phillips and his Sun Studio in Memphis and the music created by his heroes (Elvis Presley, Jerry Lee Lewis, Johnny Cash, Carl Perkins, Roy Orbison and others). Isaak recaptures the spirit of the original songs with his own brilliant band of stellar musicians, while revealing the heart and soul of his own deeply rooted musical identity. Chris Isaak Live! Beyond the Sun airs on WSBE Rhode Island PBS on June 2, 2012 at 7:30 P.M.
Chris Isaak Live! Beyond the Sun was taped on February 13, 2012, before a live audience of music fans on the soundstage of Austin City Limits, the home of the legendary PBS music series. The three-act program begins with some of Isaak’s most popular hits, moves on to his tribute to Sun Records and then wraps up with a combination of both. All in all, it’s a celebration of Isaak’s own stellar career with some of his best-known and favorite recordings. Joining Isaak for this special evening is Rock and Roll Hall of Fame singer and “The Queen of Rockabilly,” Wanda Jackson.